DISCOUNTS OR PROMOTIONS DO NOT APPLY - We are a small business and cant afford to do layaway for items already discounted. 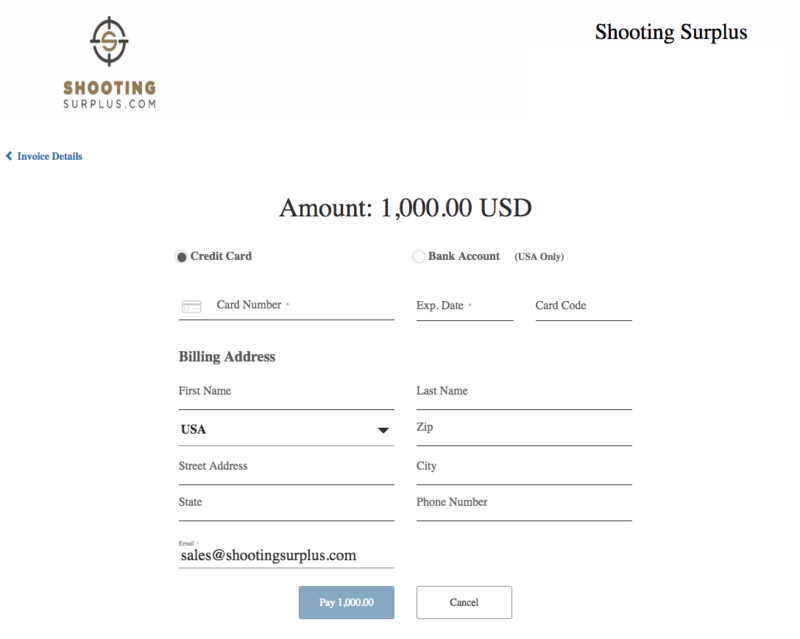 After Checkout is completed within 24 hours we will email you a link to your layaway payment portal you have 72 hours to make your deposit, email info@shootingsurplus.com if you have any quesitons. After initial non refundable deposit payment is made you can make as many payments as you want or pay in full on the last day. 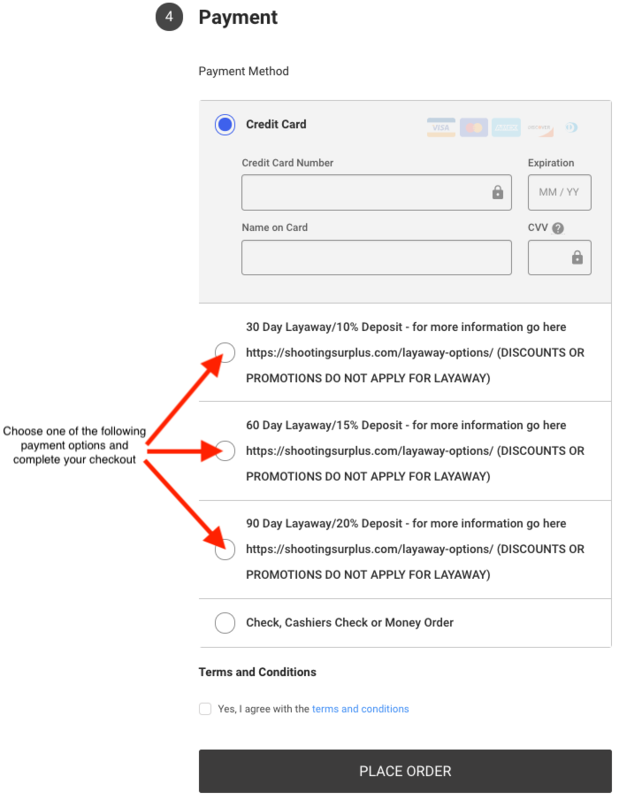 *NOTE THAT AFTER YOU START YOUR LAYAWAY YOU CANNOT CHANGE IT FOR A DIFFERENT PRODUCT. 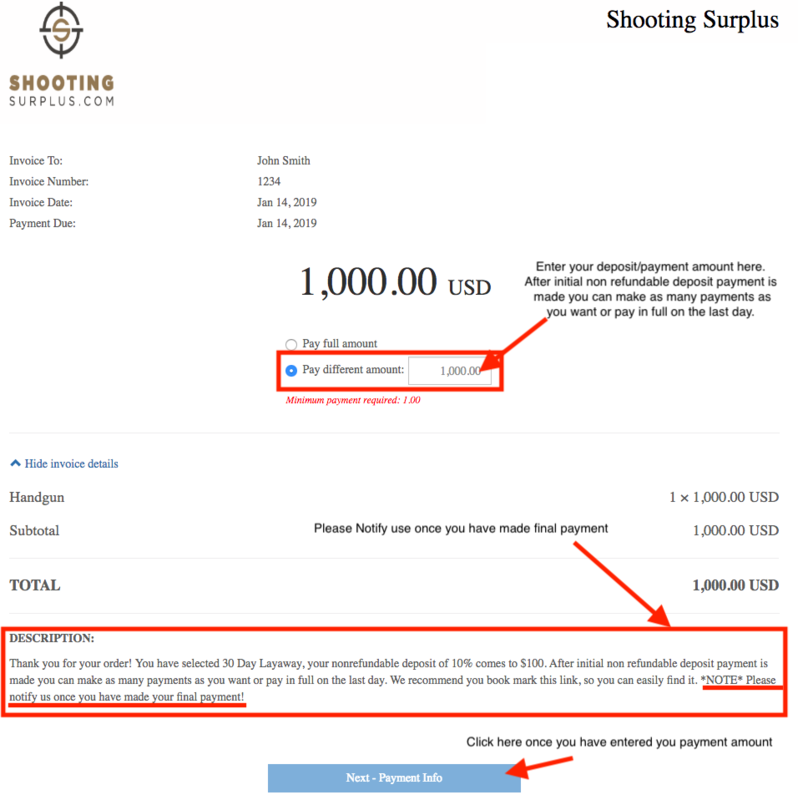 The following screenshots are a walk through of the payment portal and steps. We go through every detail, but know it is pretty simple and self explanatory. 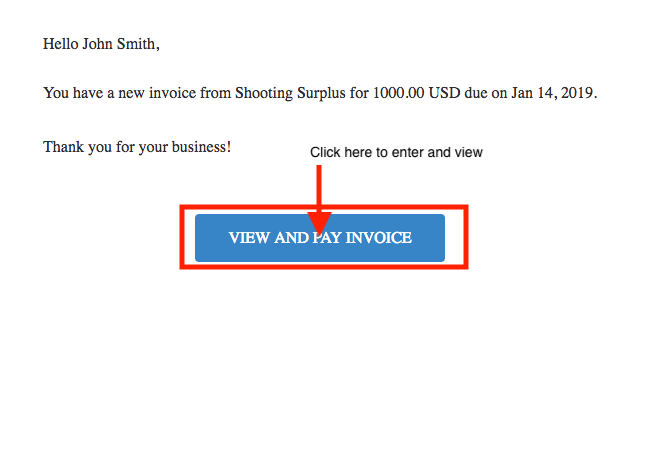 Once you have clicked view and pay invoice below is what you will see, follow directions in screenshot. 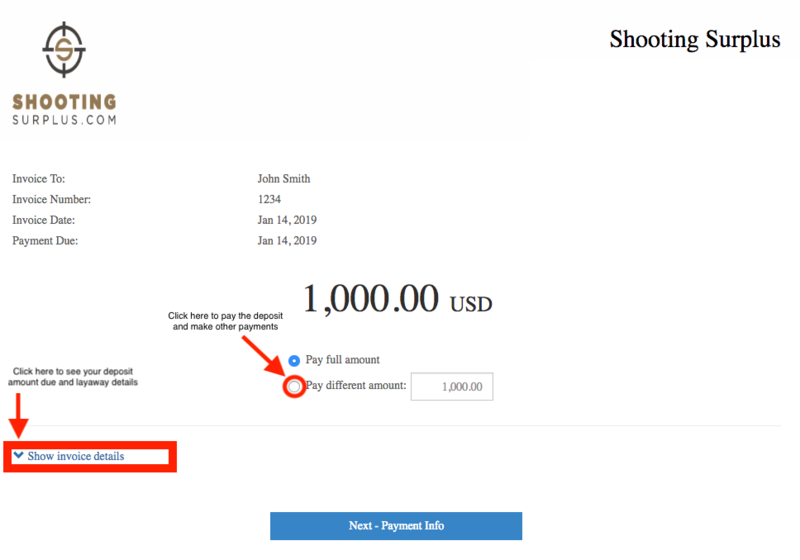 Once you have clicked Pay different amount and Show invoice details below is what you will see, follow directions in screenshot. Lastly below is the final step enter your payment information and complete payment.